Are you planning on buying or leasing a Nissan vehicle? Thanks to our simple Nissan payment calculator, you can estimate your monthly lease or loan payments without leaving the comfort of your own home. After you estimate your payments, choose the perfect Altima or Murano for your New Britain drive! We look forward to helping you finance your next Nissan. 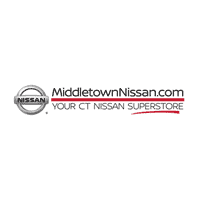 If you have any questions or concerns about financing your Nissan, feel free to reach out to the Middletown Nissan Finance Department at your leisure! Our friendly, experienced team is standing by to walk you through the leasing or financing process. Ready to upgrade your Meriden commute? After you estimate your payment, it’s time to visit our dealership to take a test drive! We are conveniently located near Cromwell and always have new Nissan specials on offer to sweeten the deal.